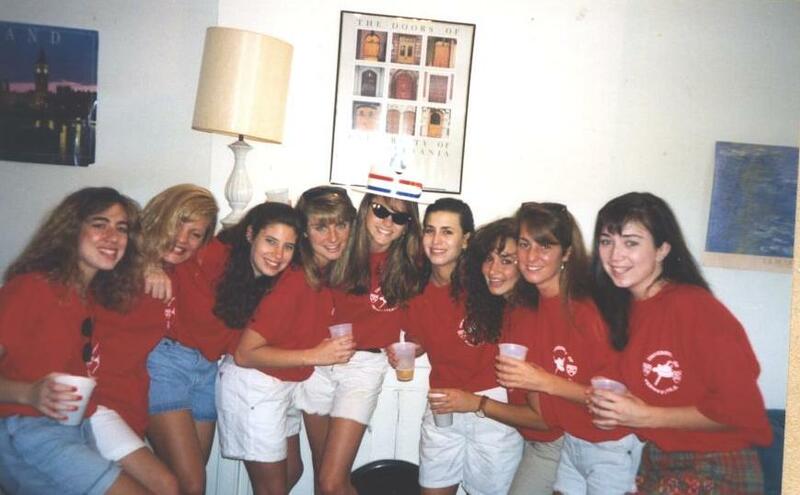 Penn Traditions: The Good, The Bad, and THE RED & THE BLUE! 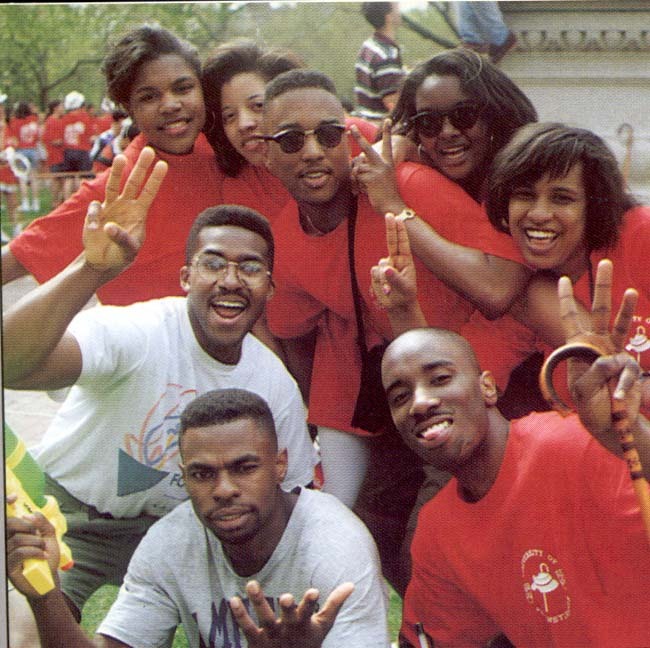 Every college student takes part in traditions on their campus as part of a unifying undergraduate experience. 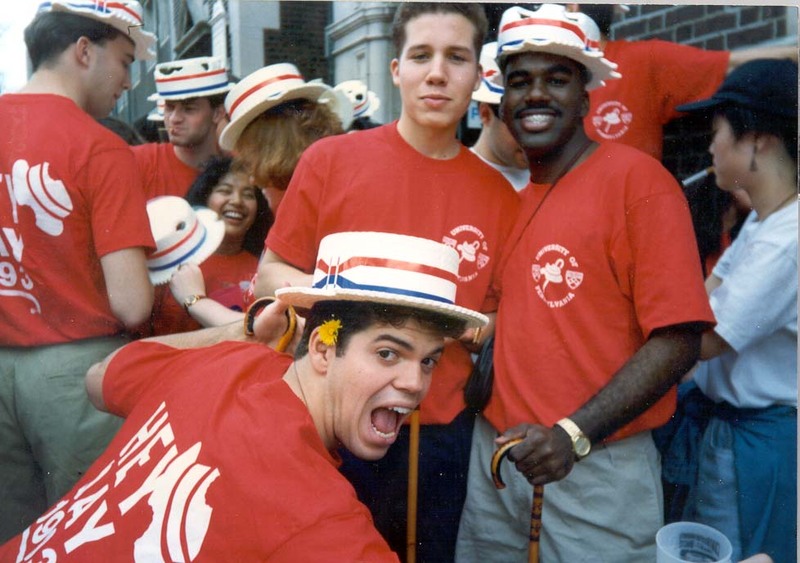 I’ve attended and worked at several colleges so far, and Penn’s traditions stand out for their uniqueness, mass appeal, and staying power. 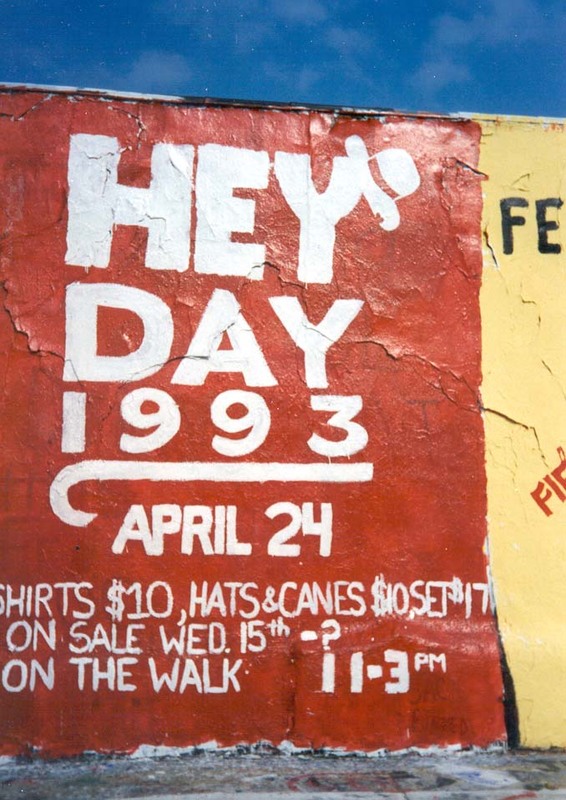 Experiences like Hey Day, Spring Fling, and taking a photo with your boo at the LOVE statue, have stood the test of time. Creative Class Boards, Penn Traditions students, and other student leaders are forming new traditions (shout out to Holifest!) every year. 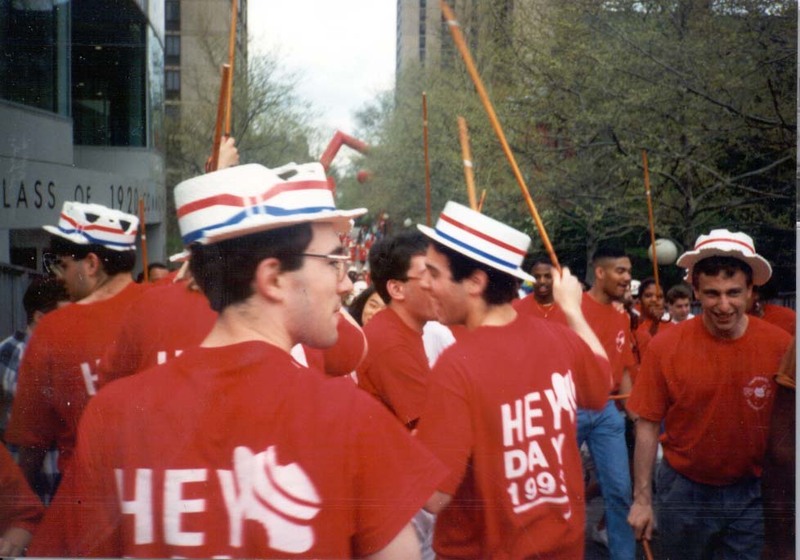 Although these strapping young lads look quite happy in the photo (from 1905), The Bowl Fight stands as one of Penn’s most historic, but also most sketchy traditions. 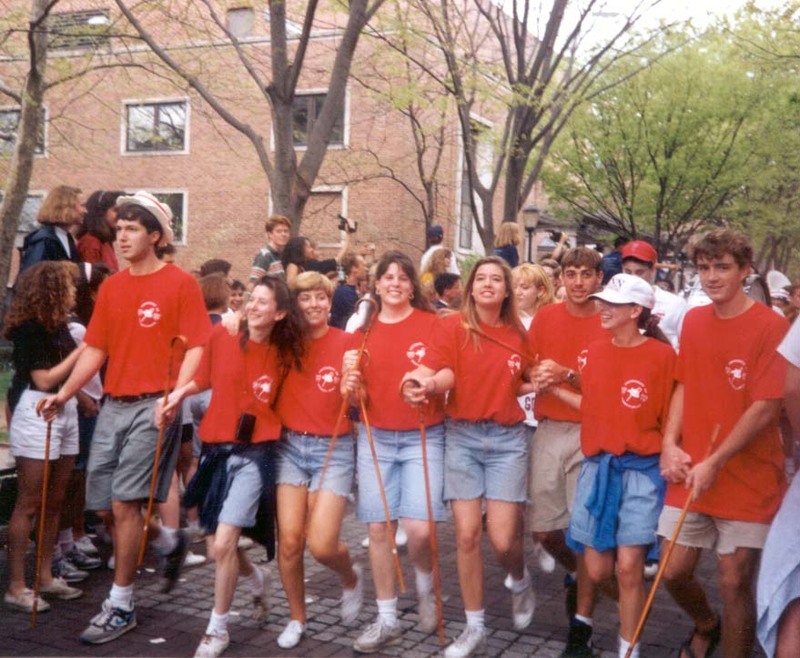 I’m not sure which one of these students was elected to be shoved INSIDE that bowl by his peers, but I would cry seeing our fabulous freshmen and sophomore duking-it-out on College Green in present-day. Final verdict: This tradition is one of Penn’s best (craziest) stories, but a happily retired one. (Note how many of these old traditions include the word “fight.” Thankfully the advent of Pottruck Gymnasium seems to have given students a more productive outlet for their pent-up energy). 1905 was a busy year for traditions, and The Poster Fight stands as another fine example of class rivalries at their best/most intense. 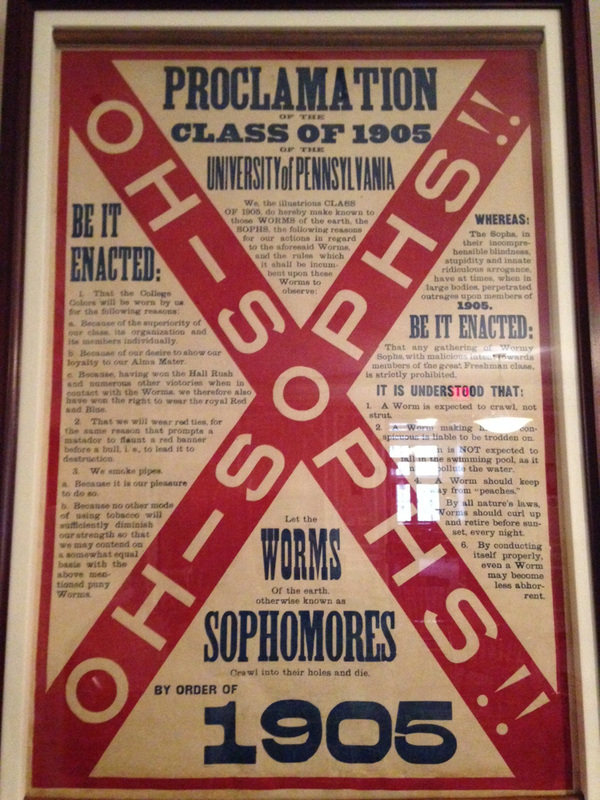 The poster below (located in Sweeten Alumni House – come visit!) shows how “no blow was too low” when asserting your eminence over other classes. Hopefully they all hugged it out at the end of the day. 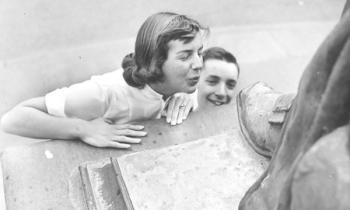 Everyone loves a good freshman rite-of-passage, but the 1940s-50s tradition of kissing Ben Franklin’s boot outside of Weightman Hall strikes me as a bit unsanitary. Good thing freshman carried this out in early fall, because kissing a metal boot in the winter seems like it could cause the same nightmare as getting your tongue stuck to the flagpole in elementary school (Note: this did NOT happen to me, whew). The Penn Traditions program is currently working on a new event (to launch in fall 2014) aiming to teach current students about some of these hilarious/spirited/dangerous traditions of the past. 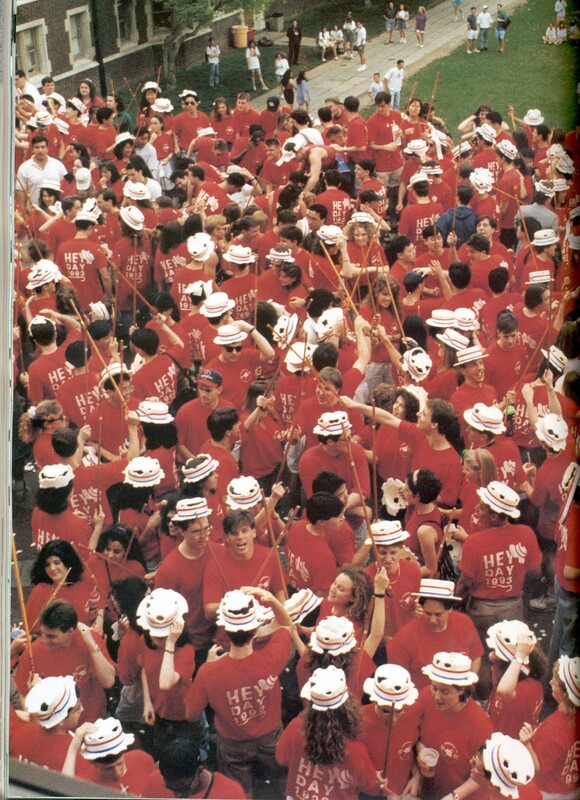 If you took part in a really fun tradition on campus during your time at Penn, email svonavec@upenn.edu so we can include it in our event! 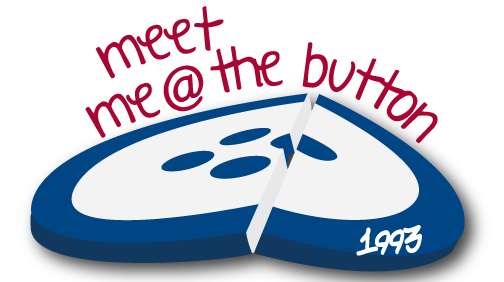 *Thanks to the Penn Archives and Under the Button for inspiring this post! Yesterday a friend from Admissions stopped by the Interview Program Office for a cup of coffee during his break from sitting in committee (yes, it’s that time of year!). As he melted into a chair and took a slug of his coffee, we started to chat about his impressions on reading hundreds upon hundreds of interviews. What has recently struck J. about interview reports is the ability of interviewers- of all Penn class years and schools- to touch upon those certain qualities that makes Penn Penn, and a Quaker a Quaker. Interviews took place via skype, phone, and in person conversation all over the world this year- from Dubai to Detroit, from Slovakia to Santa Monica- from alumni ranging in age from 22 to 85. In 64 years, there have been a few changes at Penn- a transition from typewriters to computers to tablets, the conversion from Penn-specific building to community oriented growth in West Philadelphia, the evolution from weekly letters home to dorm hall phone calls to texts, the creation of Locust Walk as a pedestrian thoroughfare, the full integration of women to the University, and growth through eight different Presidents (among a few other changes- The Arch, anyone!?). However, what we’re seeing from interview reports is that the more things change, the more they stay the same. 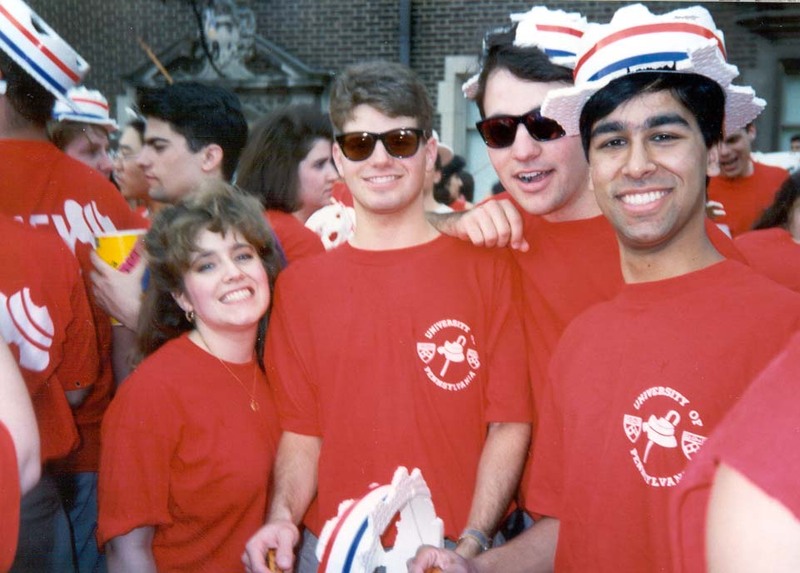 Throughout Penn’s past, a passion for activity both inside and outside of the classroom has remained, along with a desire for growth in knowledge, a hunger for integration, and excitement for innovation. 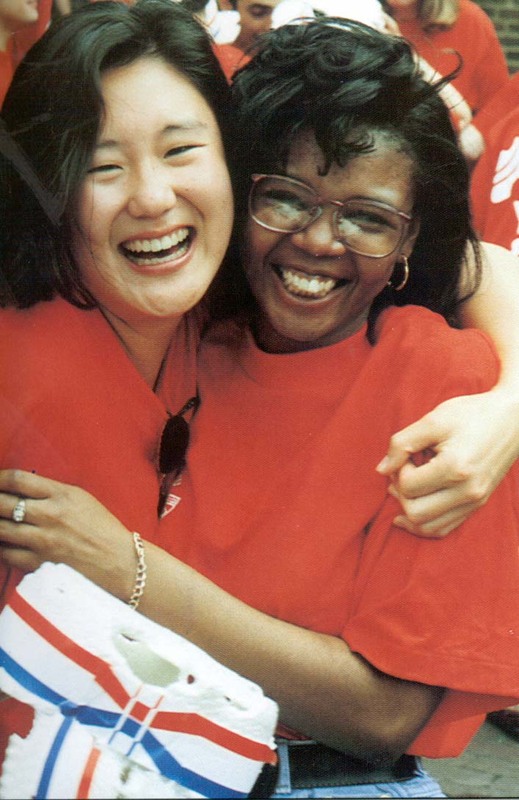 Over 12,000 of your fellow alumni are discovering students with these indelible Penn qualities from all over the world through interviews- if you’d like to help, join the Interview Program by clicking here, and share with us what you think makes a Quaker a Quaker. This may look like an ordinary trowel, but it is no such thing. 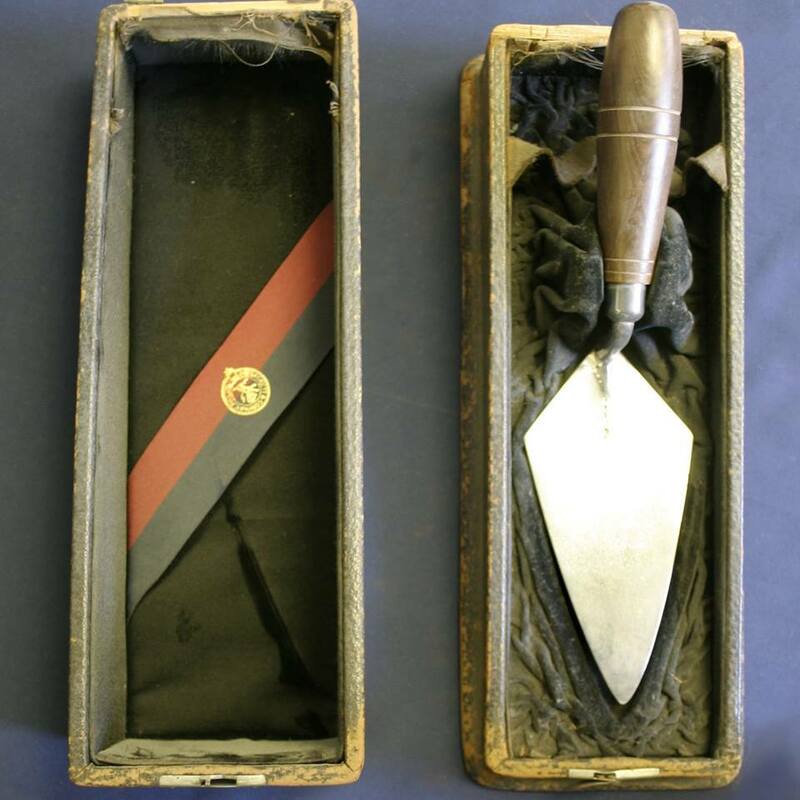 This trowel was used to lay the cornerstone of the Dormitory Quadrangles on November 5, 1895. Courtesy of the University of Pennsyvlania Archives and the Penn Facebook page. In 1897 two events took place at the University of Pennsylvania which would culminate 85 years later in this building. 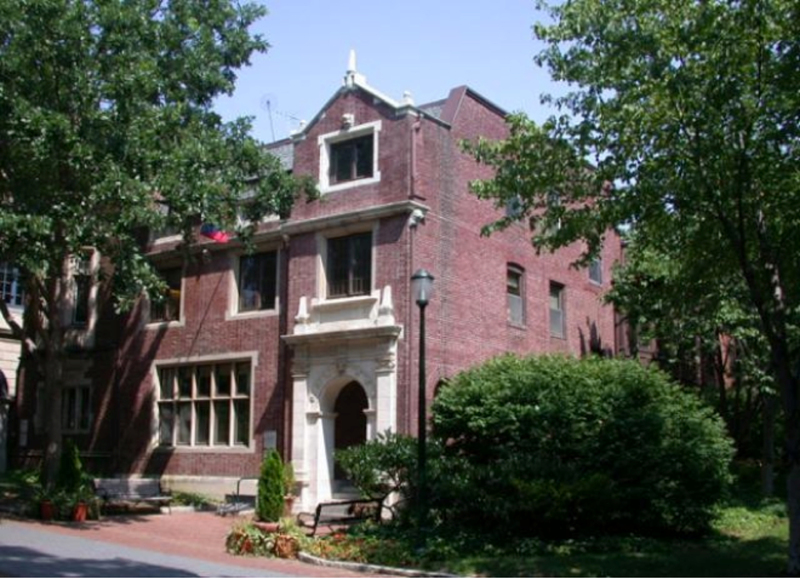 During that year the General Alumni Society filed its papers of incorporation with the County of Philadelphia, and the Delta Tau Delta fraternity established its Delta chapter at the University of Pennsylvania in a row house at 3533 Locust Street. 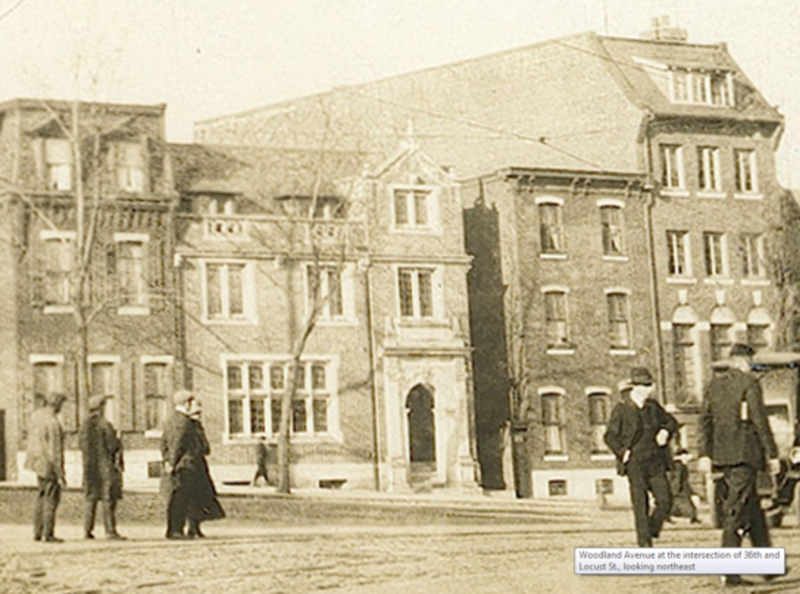 In 1914, Delta Tau Delta decided to rebuild its premises and acquired the two adjacent houses, 3535 and 3537, the latter having been briefly the home of the Lenape Club. The three structures were thrown together. The firm of two young architectural alumni was retained for the new commission: Bissell, Sinkler &Tilden (E. Perot Bissell 1893 and John D.E. Sinkler 1898): the cost was $24,000. The house was occupied in May 1915. The campus neighborhood in which the fraternity house stood was improved by the University’s post-World War II development programs. The most dramatic change came in the mid 1950’s when the College Hall Green was created with the closing of Woodland Avenue and the construction of a subway system to carry the trolley cars that once crisscrossed the campus. Further demolition in the area left the Delta Tau Delta House with a clear view of the Green, which was dramatically landscaped in 1979 as part of the Blanche Levy Park project. In 1972 the office of the Dean of Students moved into the house when the fraternity closed its local chapter. Nine years later the house was designated to be the new home of the alumni program. The architectural firm of Dagit, Saylor, (Peter Saylor, AR’63) was commissioned to plan the renovations and refurbishing. All of the funds for the renovation and refurbishing were contributed by Trustees, alumni, friends, classes and associations of the University. On June 19, 1981, the Trustees approved a resolution naming the new Center in honor of Senior Vice President for Development and University Relations, E. Craig Sweeten a member of the Class of 1937. On May 14, 1982, at the opening of the Class of 1937 45th reunion program, Mr. Sweeten raised the flag, officially opening the new Alumni Center at the University of Pennsylvania. The alumni office had been one of the most peripatetic of the University departments. 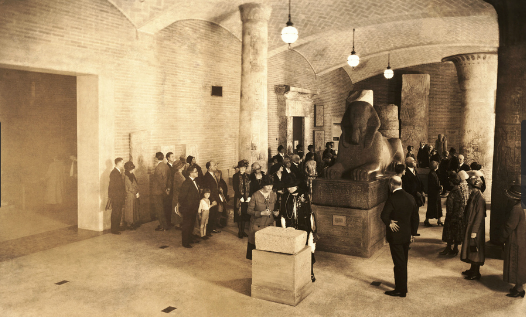 Originally located in offices in downtown Philadelphia, the General Alumni Society moved to Irvine Auditorium on campus prior to World War II. In the late 1960’s and early 1970’s there was a series of five moves that ended with the General Alumni Society and the Department of Alumni Relations in Eisenlohr Hall. The new Sweeten Alumni House brings together under one roof the offices of Penn Alumni, the Regional Alumni Clubs, Multicultural Outreach, Classes and Reunions, the Alumni Interview Program and many other alumni programs. It also provides facilities for alumni and student meetings and a reception area for returning alumni. Text and pictures courtesy of University Archives. 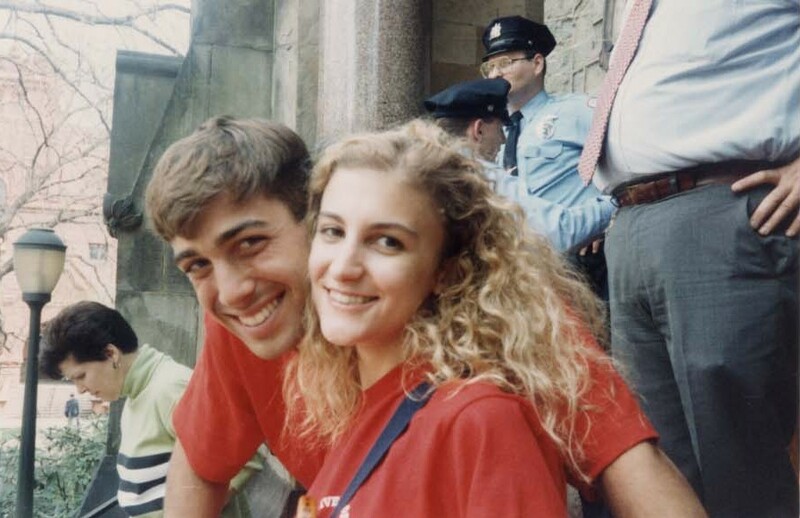 Penn 1993 – Meet Me at the Button! 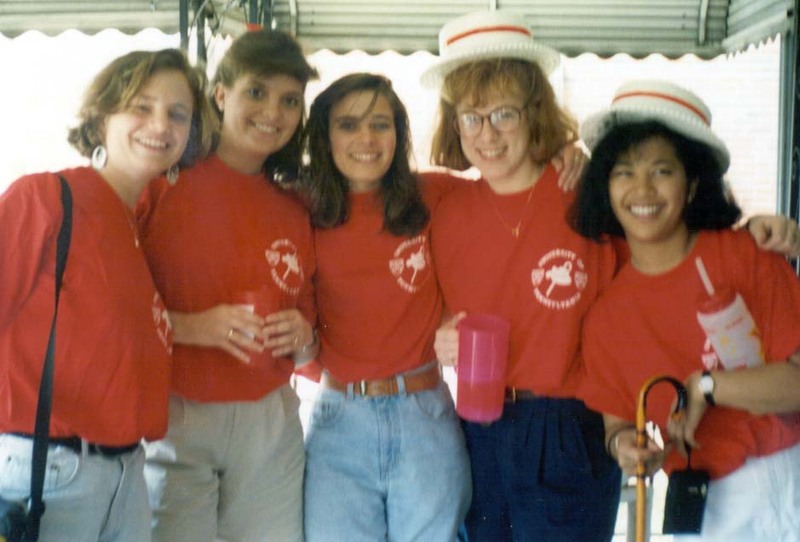 The countdown to Alumni Weekend continues, and before we know it we’ll be back on campus celebrating our 20th reunion. 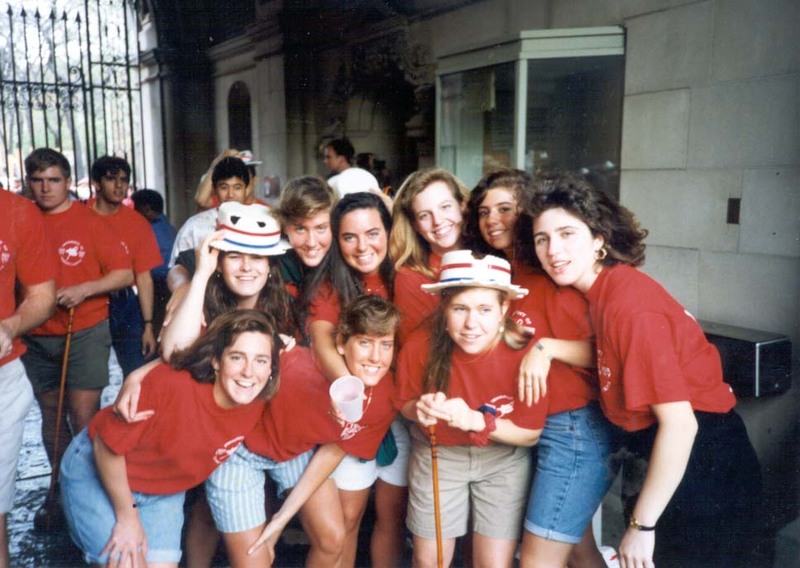 The Penn Class of 1993 reunion and gift committees are calling and emailing classmates, encouraging them to attend and to make a gift to The Penn Fund. To get everyone in the Red and Blue spirit for Alumni Weekend, here are some buttons I’ve collected from when I was a student, the first few years after we graduated, and now as a staff member in alumni relations. Buttons I collected while working for alumni relations. 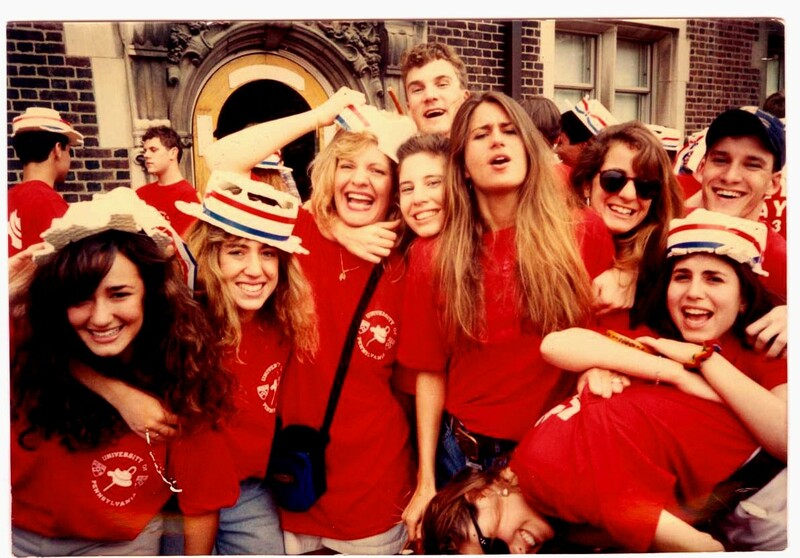 Homecoming 1998 and 2000, Penn’s 250th Anniversary in 1990, and Ivy Champs in ’92-’93. Does anyone else have a Penn button collection? 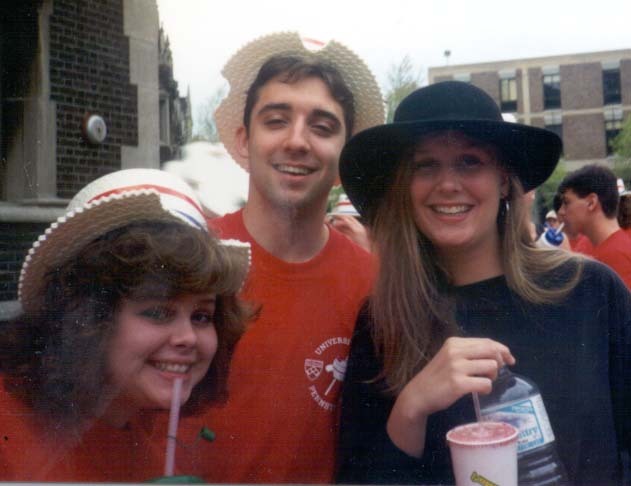 We hope to see everyone from the Class of 1993 at THE Button in May! 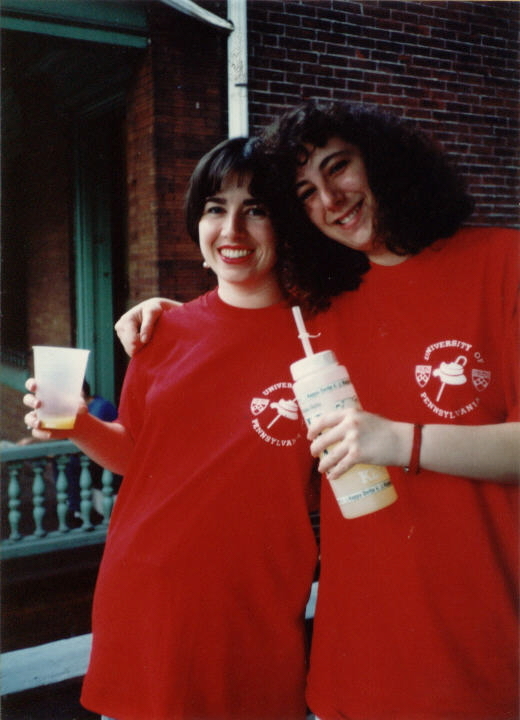 For details about our Saturday parade and picnic, and BIG class Quad party, click here! Don’t forget to follow our Facebook and Twitter. Check out who is planning to come here. Go online and register now!